Please help us to save water by turning off the tap whilst brushing. Every day acids in your diet, such as fruit, wine and fizzy drinks can weaken the enamel surface. Over time, weakened enamel can be more easily worn away and your teeth can get visibly thinner and transparent at the edges. Your dentist will be able to detect these early signs of Acid Wear. 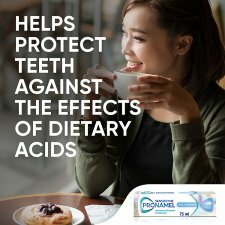 Healthy, stronger & better protected enamel. 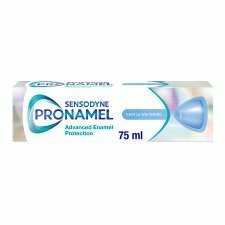 Pronamel has a unique formulation. 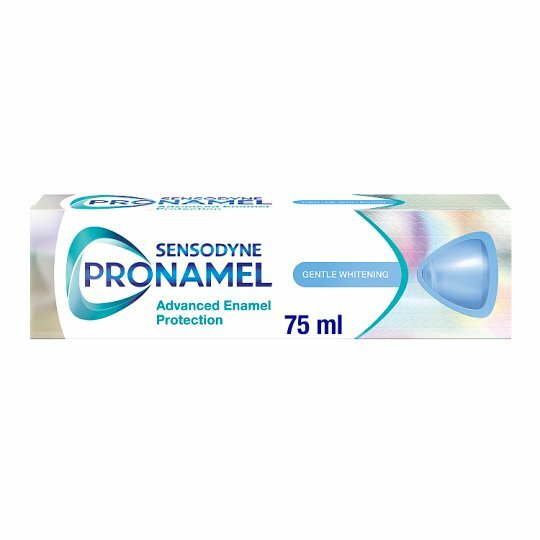 It helps minerals penetrate deep into the enamel surface, actively strengthening and re-hardening weakened enamel, making it stronger, healthier and better protected from the effects of everyday acids while helping to restore the natural whiteness of the teeth. Always follow the label directions: Brush twice a day and no more than three times, minimise swallowing and spit out. If irritation occurs, discontinue use. Sensitive teeth may indicate an underlying problem that needs prompt care. If symptoms persist or worsen see your dentist. Keep out of reach of children. Not for use by children under 12 years of age unless on advice of a dental professional or doctor. The ends of this carton have been glued down. Do not use if the carton ends are open.